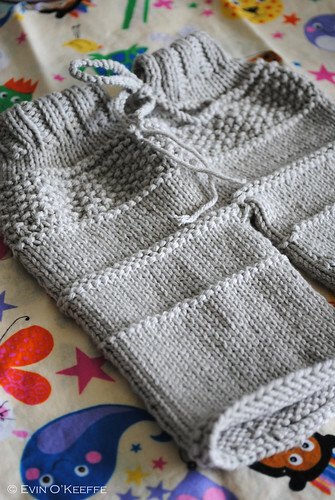 Over six years ago, I knit a pair of Kanoko Pants designed by Yumiko Sakurai in the sadly discontinued Lion Brand Cotton Ease. Yumiko Sakurai‘s Kanoko Pants arrived on the scene in March 2008 and has since been used to knit 1,766 projects on Ravelry. It has been queued over 2,000 times! 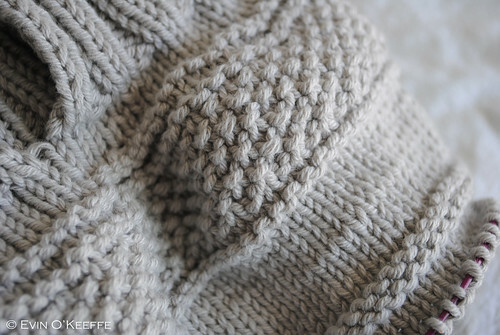 The pattern is written to fit ages three months to two years, using 250 – 350 yards (229 – 320 m) of Aran weight yarn. It is a simple pattern and free. The pattern was one shown to me by my friend Gina when I was in DC in Spring 2011. 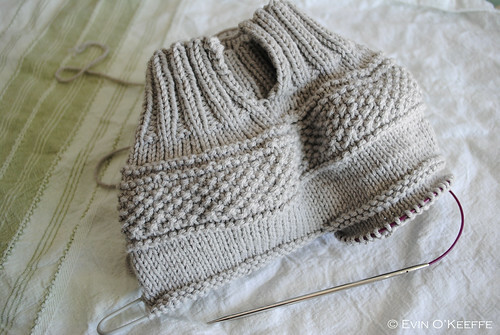 To Gina’s credit, she followed the pattern exactly and I diverted from the seed stitch rows (knit stockinette instead) a bit to save time. 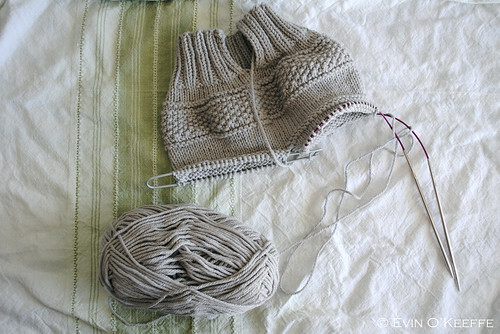 If you like the look, there is also the Kanoko Baby Cardigan by Melanie Lok. I really love the Aran/Worsted weight. Lion Brand Cotton Ease is durable and washable, plus warmer than the thin knit pants available in stores. The blend of cotton and acrylic gave it durability while being easier on the hands to knit unlike many pure cottons, while also holding up without pilling or shedding like some pure acrylics. 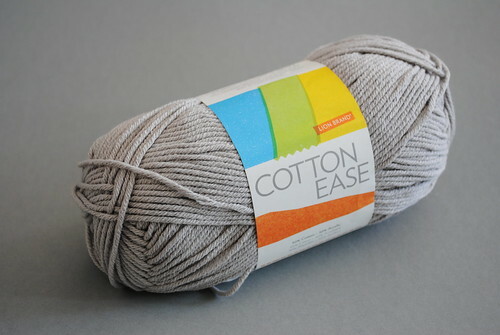 Sadly, Lion Brand discontinued the yarn, but you can either source it from destash on Ravelry or look for a substitute on YarnSub. 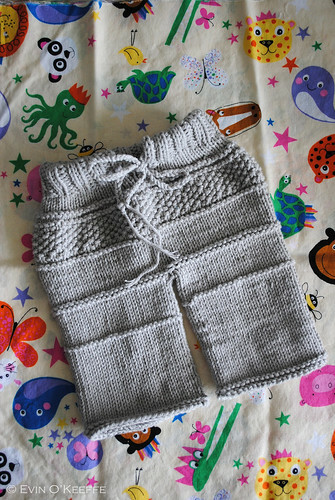 I knit these pants for my first son. 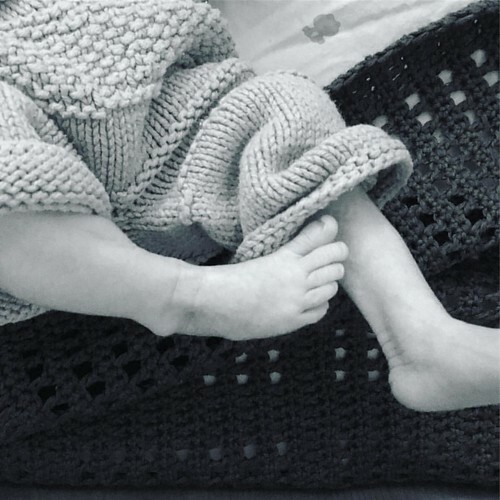 I finished them on a Friday night about eight weeks before he was born. And I am finally getting around to writing about it…6.5 years later. Here’s my Ravelry project page. And now for some project photos! 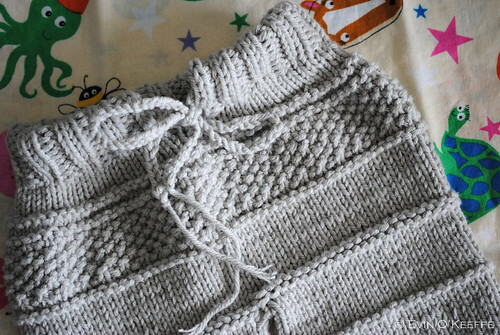 The main adaption I made to the pattern was that I skipped some of the seed stitch for the sake of time. My sons never noticed. After all, it still did well at repelling stains and absorbing diaper overflow. Yeah, I went there. I’m realistic. I crocheted the drawstring. Yeah, considering I didn’t know how to properly crochet, I’m thrilled with the outcome. Comfy, cosy, washable, and versatile! Alternatively, an iCord is very practical or you can use a coordinating ribbon. Here are the pants worn in 2011 by LB as he grew. He was 10 days early and 5.5 pounds, so the pants needed to be rolled up for the first few weeks. Here are the pants worn in 2016 by AH in his first week. He was three weeks early and the same size as LB, but always manages to have his pants legs pushed up. I think he likes the air on his feet. 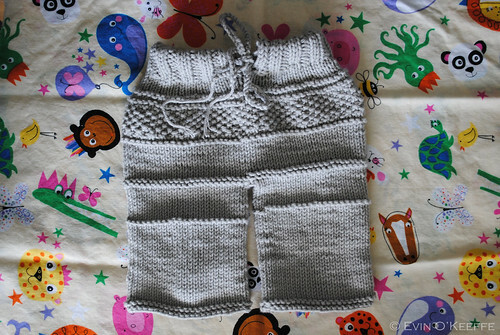 This entry was posted in Knitting for Babies & Kids.